The meeting was called to order by RNP, George Cummings at 3:00pm. Prayer by RNCHAP, Jeremiah Botkin. Pledge of Allegiance was led by RNSAA, Larry Saad. Riders Mission Statement was read by RNP Cummings. Roll call of officers: President, George Cummings; 1st Vice, Tom McNamara; 2nd Vice, John Reando; JA, Jim Whitcraft; Treasurer, Dan Macdonald; Sergeant-At-Arms, Larry Saad; PNP, Don Cox; Chaplain, Jeremiah Botkin; Communications, Kathy Campbell; Publications, Kelly Reando; Historian, David Ray; Secretary, Karen Cox. All present. Roll call of Delegates: 90 registrations; 62 voting delegates present. The majority vote is 32. 2/3’s vote is 42. IA-Currently have 4 chapters, working on 2 more. KY-Currently have 6 chapters. Annual department ride, Fire & Ice coming up, everyone is welcome. MO- 12 chapters, 9 of the 12 reported programs. 333 members: 283-Riders, 50-Supporters, 159 are Veterans, 97 are sons, and 77 are ladies auxiliary. NY-139 members, 17 are supporters, 122 are riders. 8 chapters, working on another. OH-Thank you to National for your help. Kenton chapter reporting is big. AK-2 This is the 1st convention they’ve been to. Getting things going in AK. TN-104: MIKE INMAN - Chapter has been in existence for 9 years, proud of that. Just built a new Veterans cemetery. No one in chapter has done the reporting. 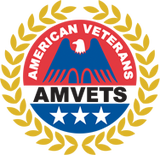 Mike is a past recipient of a SILVER HELMET AWARD for AMVETS Member of the Year. LA-7: MIKE CAMPBELL - Just got their 2nd chapter in LA, Chapter 66. LA-7 has 34 members, LA-66 has 23 members and both are growing. Bob Wills - Department of FL Riders President welcomes all to their great state. We have 123 chapters. We are down 4 from last year. We have 2,414 members. We have 10 departments and 18 Quality Chapters. Eight chapters were sent a Revocation of Charter letters: FL-20, GA-2011, IN-13, NC-905, NM-14, NY-8, OH-40 and OH-112. Motion made to give those 8 chapters, 30 days to revalidate, 2nd, discussion: What happens when a chapter closes, what happens with those members? CBL says they have 90 days to find a new chapter to join. When chapters close, the money in their account and their charter are sent to the department. The department holds it for a year to see if they can reopen. Motion passed. Programs reporting was well over $5 mil; $200,000 more than last year. Thank you all for raffle ticket selling. If you still want to buy tickets, see me during our break. I have a 2nd vice conference call every 2nd Sunday of each month. It is at 7 Central/8 Eastern time. Everyone is invited if you’d like to call in. Let me know and I’ll send an email with the phone number and access code. The Long-Range Planning Committee discussed what we can do in the future to better the organization. Moving from regular business to welcome the AMVETS National Commander, Rege Riley. He plans to work with the Riders. Past National Commander Marion Polk also visited. He said he enjoyed working with us and was proud of what we do. At the Mid-Year Rally, he had won a patriotic box. He gave the Riders National President, George Cummings, that same box as a gift. He had put gold plated engraved tags on it of each Past National Riders Presidents. He said it should be passed on to each president, and the previous presidents name needs to be added. My report is in the book and I ask that it be accepted as written. Here are 3 resolutions that need to be voted on. Resolution 01-2018-Submitted by Riders National CBL Committee: Article XI, Sections 11.1 through 11.10, reads “other duties as may assigned by the Executive Committee/Executive Board or the President”. Amend Article 11, Sections 11-2 through 11-10 to read “other duties as may be assigned by the Executive Board or the President”. Committee recommends Adoption. Motion made, 2nd, passed. Resolution 02-2018- Riders Unified Constitution. Submitted by the Department of Georgia Executive Committee, Article VII: Membership. 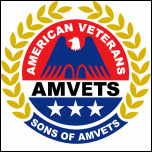 Article VII, add Section 7.7 to read: The AMVETS Riders do not accept Members At Large of the AMVETS, Son’s of AMVETS, or AMVETS Ladies Auxiliary, nor does the AMVETS Riders permit any Riders Member’s at Large. The committee recommends adoption. Motion made, 2nd. To be passed by membership, 2/3’s vote is needed. Motion passed. Resolution 03-2018-Riders Unified By-Laws. Submit by the Department of Georgia Executive Committee, Article V Section 5.2 sets the qualifications for membership. 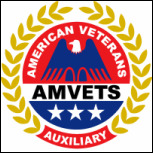 Amend Article V Section 5.2 to add Subsection 5.2D) to read: The AMVETS Riders do not accept Members at Large of the AMVETS, Son’s of AMVETS, or AMVETS Ladies Auxiliary, nor does the AMVETS Riders permit any Riders Members at Large. The committee recommends adoption. Motion made, 2nd and passed. The committee discussed changing the terminology from Standard Operating Procedures to Standing Rules. That change will happen next year. Any changes or provisions to our Standard Operating Procedures from the floor: Ed Flack, Department of Florida would like to add: That if any disciplinary action is brought against a Rider Officer by their parent organization, that the officer be prohibited from holding any level office in the Riders for a period of 2 years, to begin upon reinstatement by parent organization. Discussion: Motion to change from disciplinary action to suspension from parent organization. Call for a vote: 2nd motion, passed. AUDIT COMMITTEE CHAIR-BEVERLY MUNOZ – Books are in immaculate condition. Went from 3 accounts to 1 and it’s so much easier. Everything was perfect. TREASURER-DAN MACDONALD – Expenses are now broken down under each officer. Big changes proposed: Proposing that we change the budget year from September through August to July through June. That way the budget year will be complete by the time we get to convention and it will be easier for the audit committee. Whatever is left over will be donated. It will be up to the body to decide on where we will donate. Send suggestions to the secretary. Cashed $300 of Rewards money from credit cards to buy 12-$25 Visa gift cards to give out as door prizes at convention. Motorcycle flags were randomly given also. We have 90 registrations at convention. Used random drawing system from a website with 90 numbers. Your name corresponded with where you fall on the list, 1 to 90. We have $50,000 in a money market that we don’t touch. We have $74,456.66 in the bank, which is more than we ever had. I want to thank you for your trust for the past 6 years. Next year I plan on running for 2nd Vice. Motion to accept report, 2nd, motion passed. Motion to change Budget Year, 2nd, motion passed. Motion to pay President Cummings $100 for snacks, 2nd, passed. By changing budget year, the next one will be from 9-1-2018 through 6-30-2019, then full year will begin July 1, 2019 through 6-30-2020, motion 2nd, passed. Motion to donate $5000 at convention next year and remaining budget funds from each year will be donated at convention each following year, delegates choice of where, motion 2nd, passed. Send suggestions to the secretary. Travel Expense Voucher Motion made that national officers cannot double dip by being paid twice for the same event. 2nd, passed. Motion to compile list of places to donate, finance committee will narrow it down at Mid-Year Rally, 2nd and passed. COMMUNICATIONS OFFICER-KATHY CAMPBELL – Pleasure to be re-appointed. The media policy is on the website. I have 623 POC’s and 95.8% are good emails. Goal to get to 100%. Motion to accept report, 2nd, passed. PUBLICATIONS OFFICER-KELLY REANDO – Member brochures are available. Instructions will be available on the website to complete your 990’s. Motion to accept report, 2nd, passed. CHAPLAIN-JEREMIAH BOTKIN – We have the death benefit available. Please honor those who have passed by placing them in our “LAST CHAPTER”. We have the scholarship fund also. Motion to accept report, 2nd passed. SARGEANT-AT-ARMS – LARRY SAAD - Link will be placed on website for 990 Motion to accept report, 2nd passed. HISTORIAN – DAVID RAY No report. IMMEDIATE PAST NATIONAL PRESIDENT -DON COX - No report. SECRETARY-KAREN COX – Motion to accept report as written, 2nd passed. President Cummings: No old business. New business: AK-2 donated $500 to President Cummings cause. JA – Jim Whitcraft nominated. He accepts nomination, no others, nominations closed. SAA – Larry Saad nominated. He accepts nomination, no others, nominations closed. Treasurer - Dan Macdonald nominated. He accepts nomination, no others, nominations closed. 2nd Vice – John Reando nominated; Mike Campbell nominated; both accept, no others nominated. Hand vote taken, John Reando is elected 2nd Vice. 1st Vice – Tom McNamara nominated. He accepts nomination, no others, nominations closed. President – George Cummings nominated. He accepts nomination, no others, nominations closed. Motion to make 1 vote for all unopposed, 2nd, passed. Motion to adjourn at 6:10pm, 2nd passed. Colors were retired, Prayer was led by Jeremiah Botkin. NOTE: FOR COMPLETE DETAILS OF THIS MEETING, YOU MAY VISIT OUR WEBSITE TO SEE THE VIDEOS.